Here’s the insiders guide to the city most people think of as just a jump-off point for the delights of the Malá Fatra National Park: with some classic tips from artistic community at the now-renowned venue of Stanica. And hey: it’s not just me or the Stanica lot saying Žilina is cool: it was recently listed as one of the 101 Places to Get F*cked up Before You Die. Number one is, we are compelled to admit, the wondrous cultural hub of Stanica, the city’s well-established arts venue, created in revamped station buildings southwest of the city centre at the still-working Žilina-Zariecie station (on the line to the spa town of Rajecke Teplice and Rajec, out of interest). It doubles, or triples, or quadruples up as pretty much everything: cafe, bar, theatre, exhibition space… read more about it in our separate post on the place. There are a couple of stand-out events in the city. Fest Anča is an international animation film festival which is one of the the largest events of the year, taking place in a few venues across Žilina. It attracts a Europe-wide audience. Then there is Kiosk, a festival of contemporary dance and theatre, which is also taking place during summer. There is a park next to Stanica where summer festival visitors can camp in the tents for free. 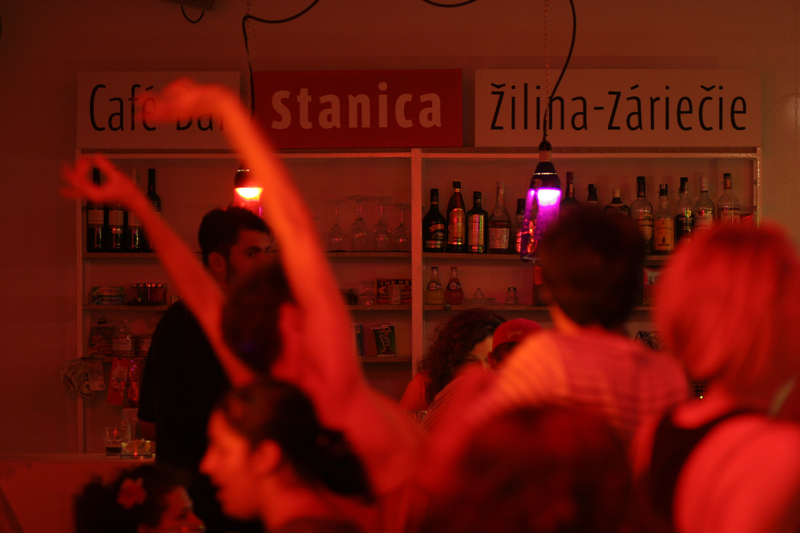 Stanica is designed as a place where people from different walks of life will meet, feel welcome and exchange ideas and, unlike a lot of places which claim this, it really is (certainly based on the crowd during my visits there anyway). You will, if you’re a first-time visitor wanting an insight into Žilina life, do well to head to Stanica, get talking to some of the clientele and see if they might even show you around town – or at least recommend some places to see. It’s worth noting too, of course, that because Žilina is one of the most famously by-passed destinations in the country, your experience of Slovakia here is likely to be much more authentic. The remnants of Slovakia’s once-significant Jewish culture (Hlohovec in Western Slovakia was once one of the Austro-Hungarian Empire’s centres of Jewish learning and culture) are sadly now few and far between. An exhibition on Bratislava’s Most SNP Bridge recently recorded, in black and white, the destruction of the Capital’s Jewish quarter to make way for the bridge to be built). So it’s heartening to see a synagogue being reconstructed, as with the Neologic Synagogue [in central Žilina] and its transformation into a gallery of contemporary art. This national cultural heritage, built in 1930’s by Peter Behrens, is one of the most significant architecture pieces in Žilina and also in the whole of Slovakia. The five-year reconstruction is now nigh-on complete, and the results are an utterly rejuvenated building, retaining that original iconic design but now also thrumming as an ultra-modern centre of the arts, with new exhibitions running as of autumn 2016. It’s also easy to get a glimpse of what’s going on inside, and the scale of the colossal refurbishment project which has taken place, if desired with a guide and commentary by some of the guys from Stanica, no less. Here’s a link to the best online in-English info on Žilina’s synagogue. Žilina has among the most active Jewish communities in Slovakia. Then there is the must-see visit to Žilina’s oldest building, Kostol Sv. Štefana krála (Church of St Stephen the King). It’s a Romanesque building dating from the 15th century, with impressive 13th-century medieval wall paintings. (Location: Zavodská Cesta, corner with Škultétyho). The city’s impressive squares, flanked by restaurants, are also great for a stroll: cosier Mariánske Námestie and grand, ampitheatrical Námestie Andreja Hlinku. And there are actually some really great hotels, which you wouldn’t necessarily expect for a city of this size here: Dubna Skalá for example, or grand 18th century Villa Nečas. More on them in other posts. GETTING THERE: 12 trains daily cruise from Bratislava’s Hlavná Stanica station to Žilina. Ticket prices are 9.40 Euros for the regional trains and 15.90 Euros for the high-speed trains. 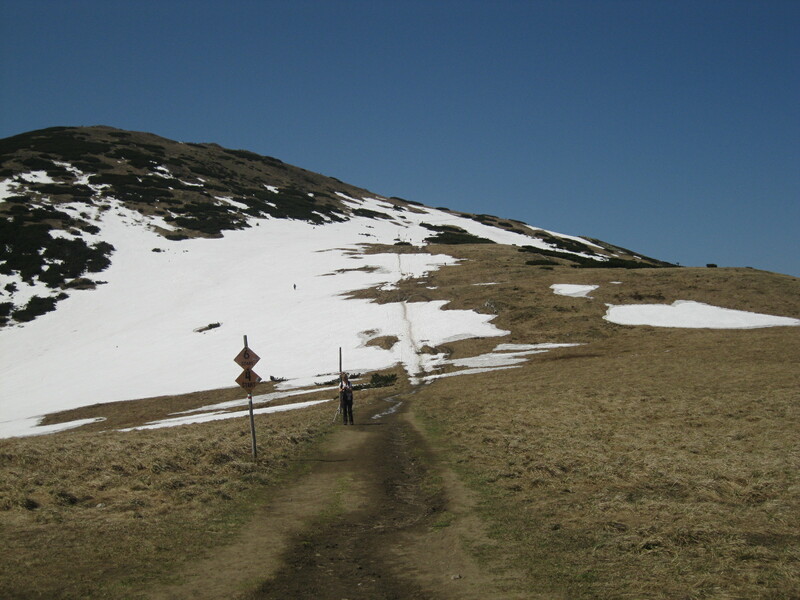 NEXT ON THE JOURNEY: 30km east of Žilina’s Stanica you hit the heart of the Malá Fatra National Park at Vrátna from where you can access some great hiking around Chleb just passed Terchova.